Research shows that professional speakers from outside the organization and industry bring invaluable insights, perspectives, and expertise. The best professional speakers are masters at motivating, inspiring and bringing a different voice and experience to your audience. 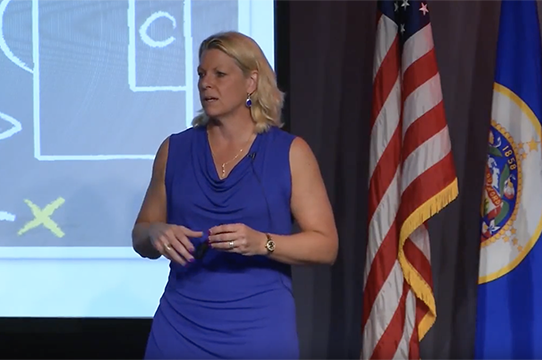 Pam Borton is a professional keynote speaker and sought-after leadership trainer who shares her personal experiences, success stories, and best practices to motivate, inspire, and empower audiences to achieve greater results and get the next level. Pam has been influencing individuals, teams and organizations for more than a decade by sharing her executive consulting and successful coaching background in dynamic keynote presentations across the country. Clients of every size and in every industry have benefited from her insights on effective leadership, peak performance, creating a strong culture, and managing through transformational change. 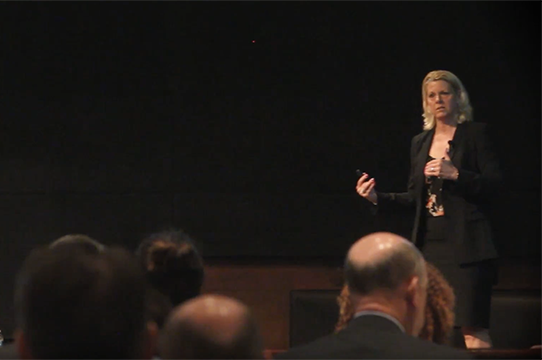 Pam shares her real-life successes and challenges from her unique career, lessons learned from her work with leading organizations, tips, tools, and strategies audiences can implement immediately to make a positive impact. What got you here won’t get you there. Today the marketplace is more competitive than ever, constant change and disruption is the new normal, and the challenges of recruiting and retaining top talent are at an all-time high. As a certified coach and trainer in Emotional Intelligence (EQi 2.0. ), Pam shows how elevated emotional intelligence is the secret to success. This session provides best practices to lead with EQ to create a winning culture, build dynamic and loyal teams, be agile and drive results. From the sports world to the boardroom, success is being able to build championship teams from top to bottom and year after year. A consistent culture of excellence doesn’t happen by accident – you need a game plan from a winning and proven coach. This session shares keys, strategies and 7-steps to being ON POINT and building high performing teams and organizations. The rapid pace of change and disruption is the new norm and it’s here to stay. It’s critical to master how to effectively lead through change, chaos, confusion and competition with grace. Change is a team sport and everyone plays a significant role. This session provides a winning game plan to create an agile culture filled with people who can pivot and persevere for organizational success. Coaches consistently win when they communicate an inspiring vision, motivate others to achieve a common goal, focus on training and development and build a strong bench that is filled with top talent. The same is true for leaders in business. This session shows you how to create the mindset of a coach in order to create a championship culture. 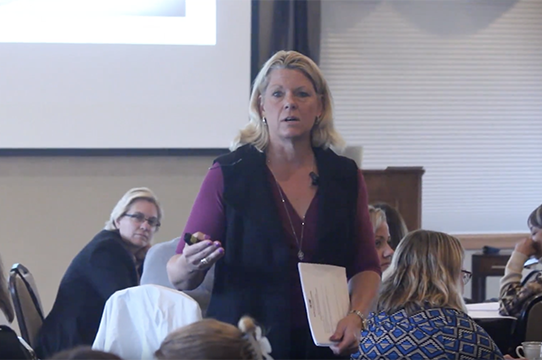 As a certified coach and trainer in the EVERYTHING DiSC, Pam recognizes that understanding yourself, your strengths and challenges, is one thing – understanding others is business gold! Taking a deep dive into the DiSC Work of Leaders Assessment will allow you to better lead, motivate, communicate, and build well-rounded and productive teams. This session highlights why organizations need diverse teams and how to identify and leverage differences to drive results. Success with today’s fast paced global complexity comes down to a simple equation: 15/85. While only 15 percent of business success comes from our IQ, the real success evolves from our EQ (emotional intelligence). Those who lead with EQ will outstrip those who aspire to win on smarts alone. This session provides proven skills and techniques to strengthen resilience, confidence and master an unbreakable mindset for success. In organizations, as in sports, teams are expected to win and compete at a high level, to work seamlessly together and to transcend goals and expectations. This session prepares you to build and lead your “dream team,” a diverse, multi-talented group that works together in unison toward shared goals and consistently performs at the next level. Sustainable transformation evolves from relentlessly pursuing the simplest of truths: our most effective leaders are dedicated coaches who accelerate the multi-directional flow of information and ideas cross-functional and breaking down silos and barriers. It’s an art and all battle-tested, this session challenges leaders to lead and influence without authority to find their own personal rhythm, team and organizational effectiveness. Engaged employees will make or break your business—it’s measurable, and it makes all the difference. People are your greatest asset, and reinforcing a positive culture focused on retention, recognition, and respect is a game-changer. In this session, master a strategic game plan specifically designed to transform your culture, your best and your underperforming employees into your most committed champions. In sports, dynasties are built by coaches and teams who consistently outperform their competitors. The same is true of organizations—those who stay relevant and on top foster a culture defined by a championship mindset. This session shows leaders how to empower, inspire and maximize their greatest resource—people—and how to lead with strengths-based servant leadership. Would your people run through a brick wall for you? This commitment and loyalty is reserved for those who lead people not only with the head, but with the heart—who demonstrate courage, authenticity and empathy. This session brings together best practices and real experience with sound logic to leverage the power of vulnerability into a game changing leadership strength. Effective communication drives performance and maximizes impact. The ability to communicate effectively in a business context is a learned skill and all communication is not created equal. Many companies assume their leaders and employees instinctively know how to deliver clarity, provide accountability, have crucial conversations, and deliver real-time feedback. This session provides you with a strategic action plan that will empower your team to embrace healthy conflict and communicate like champions. For your business to grow and evolve, so must your sales team. Your competition is more aggressive, the marketplace is more crowded, and your clients are a lot more complex and sophisticated. This session shows you how to build your brand, adjust your style based on your clients’ needs, approach and personality to boost your bottom line. Innovative ideas and creative thinking are critical to business success today, but it’s easier said than done. By embracing the power of creativity, humor, and collaboration you can cultivate a culture that encourages risk taking. This session demonstrates how to create a safe culture and empower your people to think bigger, get out of their comfort zone and work together as a team. 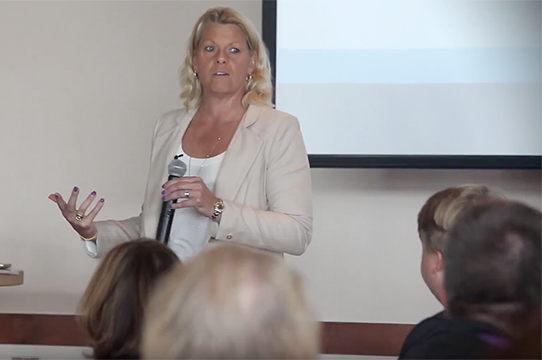 Contact Borton Partners today to learn more about how your team can benefit by engaging Pam as the professional keynote speaker for your next event. Deputy Chief Mary Nash, Saint Paul Police Department. Pam was very engaging with our group before, during, and after her presentation. Her presentation content was thought provoking and very appropriate for our group of executive leaders….